It's been awhile, but I'm excited to bring you another episode of the Mt. Juliet Minute! While I might have slowed down, Mt. Juliet, TN has most assuredly not. One of the newest, most unique additions to the city is the Mt. 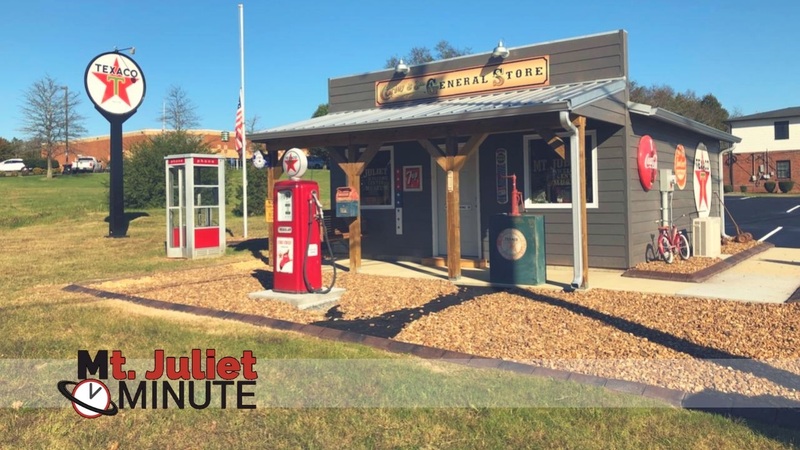 Juliet Welcome Center Museum (pictured above). It's a general museum and visitor center combined into a nostalgic, vintage location designed to learn and reminisce. It's really too bad that the gas pump isn't still pumping, as the price on the pump is 37.5 cents. That price dates back to around 1973 (gas prices may be one of the only things I miss about the 70s ). It's open during regular business hours, and you can walk on in and take a self-guided tour. Slim Chickens will soon be under construction across from Cedar Stone Bank on North Mt. Juliet Rd. This restaurant will be their third location in TN! IHOP﻿ is in the final stages of construction and plans to open near the Pleasant Grove Wal-mart by mid-December, 2018. Across the street from the new IHOP, construction is underway on the site for the at home superstore, which plans to open in 2019. Southern Bank﻿ is nearing completion in front of Mt. Juliet Christian Academy. Your Pie Pizza recently opened near Burger Republic off of Providence Pkwy., and pizza is already flying out the door (not literally - you still have to go in and pay ). Just a couple doors down from Your Pie, PDK Southern Kitchen & Pantry is building their new space! These are just some of the many businesses coming to the Mt. Juliet, TN area. If you have a business or event that you would like featured on the Mt. Juliet Minute, please message me!